It seems Auckland Transport still has a lot to learn about equity when applying fares across our public transport network. Bus, train and ferry fares will be changing from 29 January 2017. Auckland Transport is required to review fares annually to ensure they keep pace with operating costs and a portion of cost recovery from fares. Colin Homan, Group Manager, AT Development says Auckland Transport has a target to recover 50 percent of the cost of public transport from fares, but this is currently at 46.3 percent. Mr Homan says public transport in Auckland still represents very good value for customers. Auckland Transport has added a number of new services over the past year, such as the introduction of 65 double decker buses, the roll out of a new bus network in South Auckland, the addition of 19 km of bus lanes in the year to June 2017, rail service increases on the Western Line, as well as Simpler Fares (which allows customers to take a bus, train or combo and pay just the one fare for the entire journey). Mr Homan says that over the past 12 months Auckland Transport has reduced the cost of public transport by on average 7 percent through Simpler Fares and encouraging customers on cash to transition to HOP, which represents at least a 20 percent saving. He says in the year to the end of December 84.8 million trips were taken on public transport in Auckland, an increase of 4.6 percent since July. So monthlies are up $10 and a steep rise on cash fares for the infrequent traveller or even tourist. Auckland Transport state they are trying to reduce congestion through keeping rises on long distance fares low but in doing so short distance fares rise disproportionately causing equity issues especially in South Auckland (where most trips are short to places like Papakura, Manurewa and Manukau City Centre). Effectively short distance travellers are cross subsidising long distance commuters. Also short distance trips is what generates often the most congestion especially localised congestion that will bung the regional network. 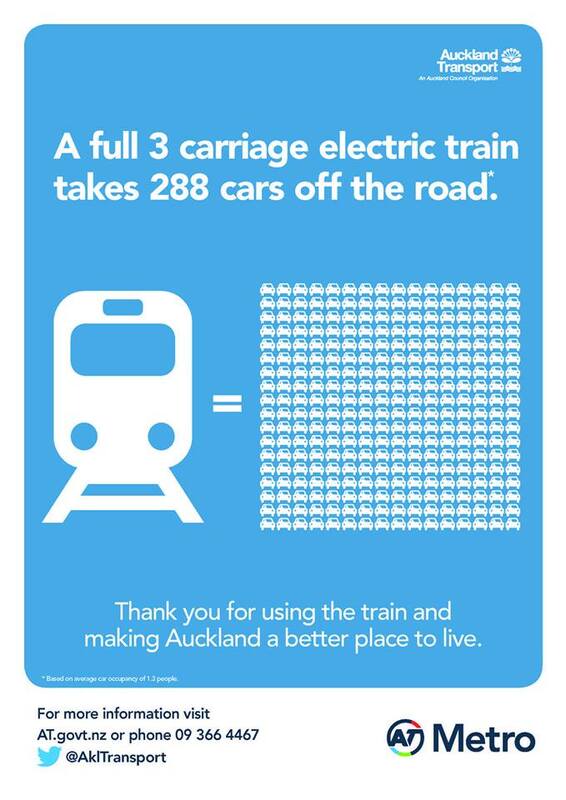 If Auckland Transport want to make long distance commuting on transit more attractive than it needs to look at infrastructure and commute times themselves. More bus lanes to make busses more reliable and shortening the Southern Line timetable from 53 minutes to 45 minutes (through better running operations of the trains) is the best way to improve patronage there.